In our site you'll be able to find all the information about our yard and our business, what we do and first of all how we can take care of you and your horse. We pride ourselves with quality horse care and training, these well muscled, and well feed horses are brought along a path that begins with an important foundation, our yard takes pride in the backing and pre-training of or young stock, here we build their confidence and trust. Every horse is treated, trained and fed as an individual. We like to believe that our horses are very content in their surroundings, and with that they give us their best. 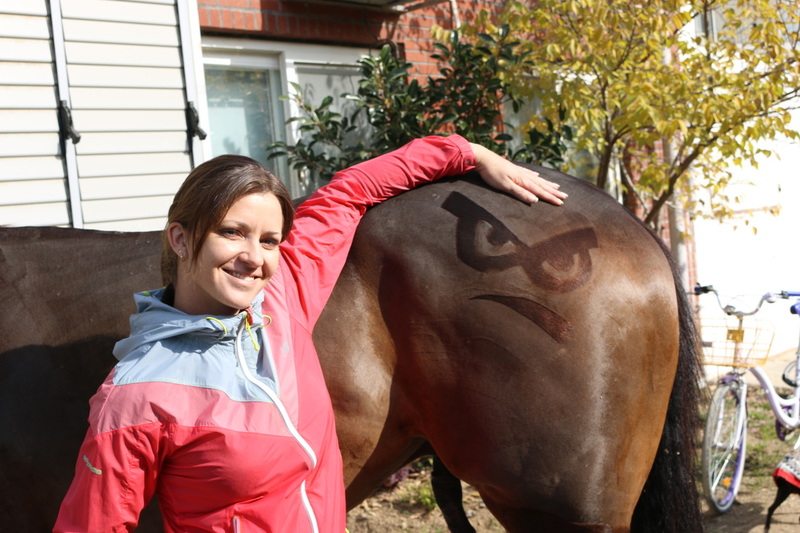 We have great experience and passion towards our horses. 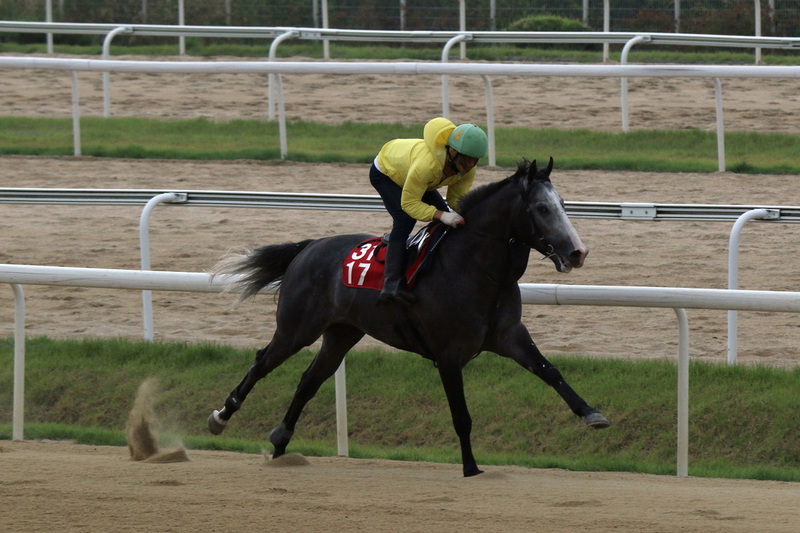 We are the only Racing Stable in Korea that boasts a part one racing licenced Trainer. We have first hand experience and knowledge and have competed against some of the best Trainers and horses in the World. 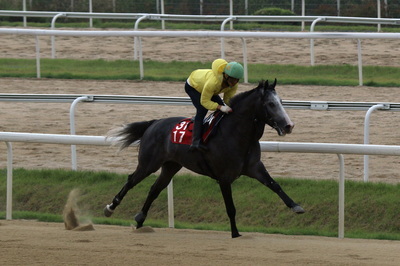 Our professionalism and experience are at your service to satisfy you and your race horse. With us you will have a different experience when it comes to owning a racehorse, you will be informed on your horse progress, race planning and you will also receive an honest opinion about your athletes future. 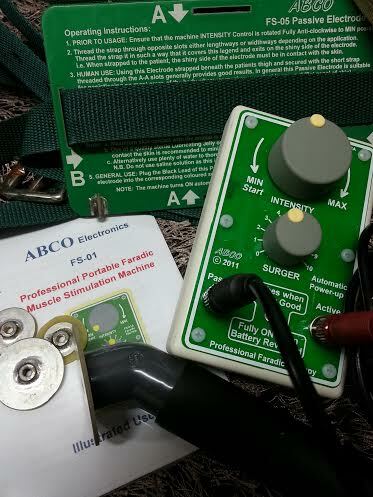 The ABCO is an advanced faradic machine which works on your horse’s muscle tone and elasticity by contracting and relaxing the muscle in a rhythmical fashion. This increases the blood circulation, brings oxygen to the site, and waste tissue products are cleaned away. Scar tissue and adhesions are gradually broken down which promotes healing and correct muscle function. Muscle wastage is prevented if treatment occurs soon after the injury. During our recent visit to South Africa we acquired a second, more advanced machine which has different sized applicators allowing treatments to the smaller more sensitive areas such as the face and legs. Another aspect of Hi-Performance Equine Therapy is to design a program for rehabilitation supporting the ABCO therapy, involving stretches and exercises to maximize the healing and strengthening process. The results can also mean an increase in the horses stride length, improved range of motion of various joints and increased suppleness. The Bemer 3000. Bemer is an acronym and stands for, Bio-Electro-Magnetic-Energy-Regulation, The therapy is a special type of electro magnetic field therapy and represents a high-efficacy treatment for a large number of chronic ailments. BEMER therapy represents a new, EMERGING MEDICINE, which will become main stream for reasons articulated below. The simple, but profound, introduction of the revolutionary BEMER pulse developed by Professor Dr Wolf A Kafka of Germany, represents a dramatic breakthrough in the efficacy of electro magnetic field therapy devices. Conventional electro magnetic field therapy devices make use of a sinusoidal, trapeze or rectangular wave shape pulse. The later pulses are applied ailment-specific and as much as these relatively simple pulses treat only a part of the organism as we know. The BEMER pulse however, consists of a 2000 times broader spectrum of electro magnetic frequencies and treats the complete organism in a concurrent manner irrespective of the indication. Specific frequency adjustments are unnecessary as the BEMER treats all cellular energy-related dysfunctions simultaneously. By understanding the needs of the organism to balance and equalize all energy deficits wherever they may occur in the body, an effective bio electro magnetic energy regulation ( B.E.M.E.R ), is achieved with the BEMER 3000. Each organism strives to maintain life and health and to this end, a biological system has to maintain a continuous appropriate energy balance to maintain its functions and optimum performance. The objective of biologically effective and supportive electro magnetic fields is to assist the enablement of regulation of the body's health energy parameters. The insufficiency of this energy balance over time results in chronic ailments and dysfunctions. In this case the organism is not able to muster sufficient self regulatory means to mobilise the immune system to fight and eliminate dysfunctions, biological intruders (such as bacteria and viruses) as well as all sorts of chronic ailments. Jacks Whirlpool Boots from the USA - a world renown hydrotherapy therapeutic system, with 360 degree perforated inner tube the compressor produces an aeration around the entire foot & coronet that massages up the lower limb through the fetlocks and knees, reducing swelling, inflammation and aiding in injury recovery and prevention. 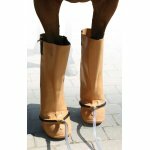 Water depth and temperature can be varied with ice, and medication (water-soluble) or salts can be added, the compressor is quiet enough not to disturb the horse or cause anxiety, these boots can be fitted to the front and back legs. 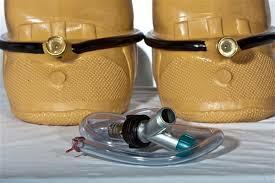 Adjustable over straps & clips help secure the boots whilst in use. The importance of the preparation that occurs at home is very high, and with the newest technology to assist, it is easier to judge the fitness level of the athlete and also how well the horse handles its exercise. These devices are the most complete training system for horses available, our stable is equipped with three complete kits. It is an evolution of the "human" training system and requires a good understanding of all the functions. 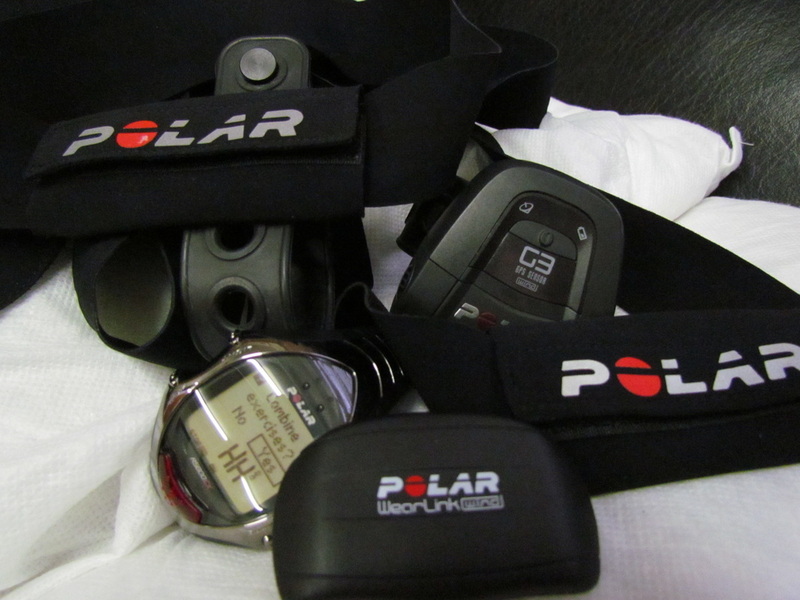 These monitors, combined with G3 GPS transmitters, enables us to record the speed and distance in real time, together with the heart rate and recovery time. 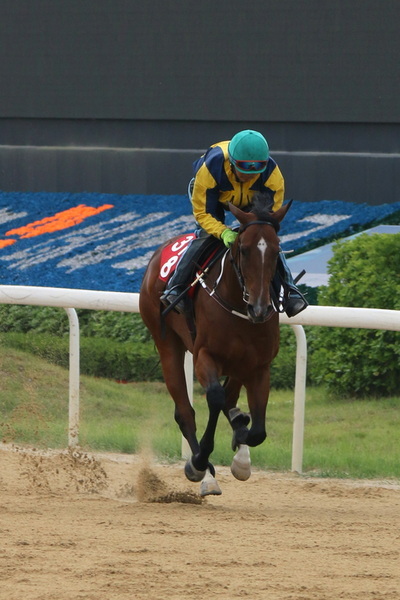 Monitoring our horse’s heart rate gives us a genuine competitive advantage. 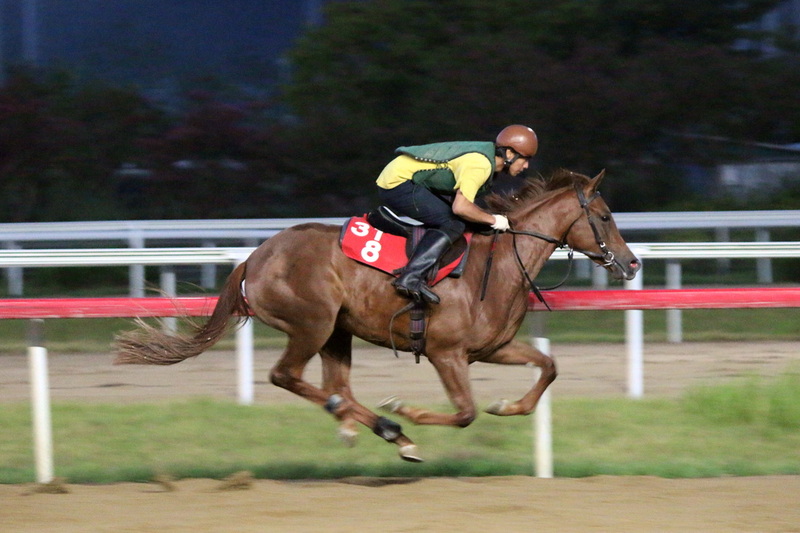 By following and analyzing the heart rates along with speed and distance, we get to know our horses much better and train them so that they stay healthy and achieve their best. Monitoring our horse's heart rates have a number of benefits for our horses and our owners alike. 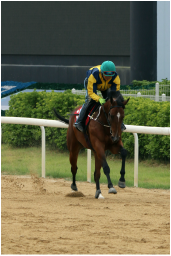 With the heart rate monitors, we can adjust each training session to the suitable level of intensity for each individual horse, which is the most important and efficient ingredient in any trainers program. Monitoring our horses heart rate is easy, and there is no discomfort to our horses. It’s the best way to keep them happy and healthy, and ensure that they, too, enjoy their training. One of the most important aspects of equine sports medicine is the maintenance of these athletes at their highest level of performance. Deep-tissue laser therapy is an invaluable tool for this endeavor. All athletes have to endure the rigors of training. This training results in pain and soreness. 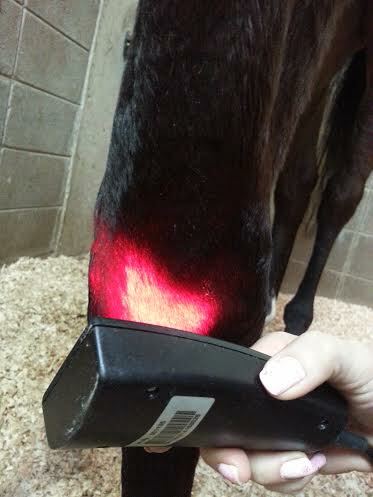 Periodic therapeutic laser applications allow these equine athletes to recover faster and therefore train more efficiently. 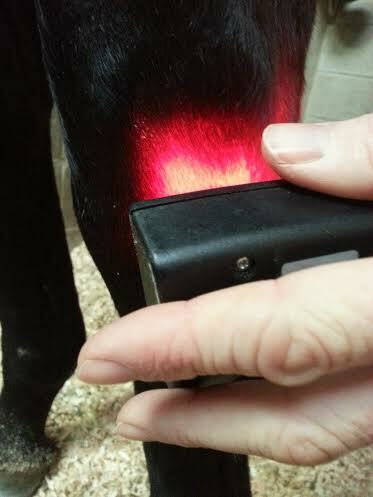 The ability to use laser therapy to prevent injuries is often overlooked or even considered non-efficacious. How important would it be to establish blood flow and elasticity within the tissues of the suspensory tendon in an equine athlete predisposed to stress in this area before a competitive event? Deep-penetrating laser therapy accomplishes this therapeutic goal. 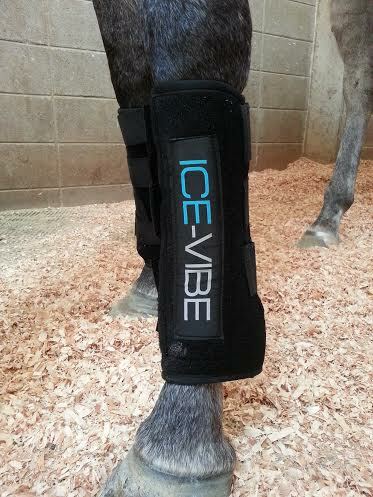 ICE-VIBE boots are portable massage boots with hot/cold inserts to create warm or cold circulation treatments that can be used before or after exercise or during rehabilitation. 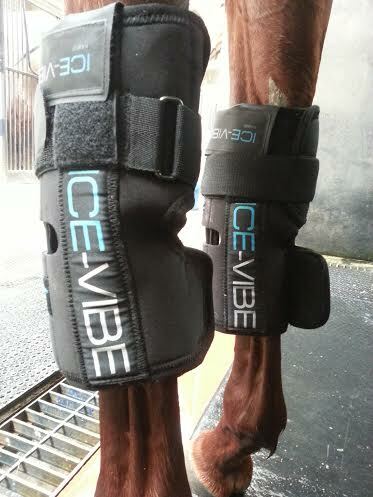 The ICE-VIBE boots have cold packs in them that reduces blood flow slowing down inflammation whilst the movement created by the massaging effect similar to exercise can help to stimulate the lymph system to move out existing inflammation. 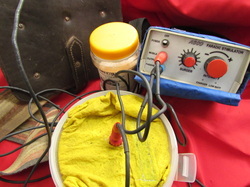 the boots are designed to cool the tissues via the cold packs and slow down the blood flow to reduce inflammation, but when combined with the massage the blood flow is not completely restricted, this allows oxygen to be maintained to the tired and damaged tissues allowing for a better and faster recovery. Deep penetration, up to several inches inside the body. Encourage cells to release toxins. Improved oxygenation and hydration of the tissues. Disable harmful microorganisms, including those that cause flu, colds, Lyme disease and many other conditions. Faster tissue and wound healing. Relaxing for muscles and calming for the nervous system. Here is an insight into the use of the HIDEZ Compression Suit. Recovery: Graduated compression means that a greater amount of pressure is applied at the extremities (the lowest point of the leg) and the pressure reduces along the limbs and body. The technique employed by the design of Hidez animal compression suits assists in forcing vital blood supplies out of the lower limbs, back into circulation and towards the heart. This process may enhance blood flow and oxygen available to an animal’s muscles. In addition, the process can speed up the removal of waste products like lactic acids and carbon dioxide, for vital blood supplies. Good healthy blood supplies ensures recovery from injuries faster, helps in the prevention of injuries by maintaining muscle temperature and reduces muscle fatigue by flushing out ‘bad blood’, which aids in the reduction of delayed onset muscle soreness. Travel: Just like human graduated compression apparel brands, Hidez animal compression suits use a unique muscle focus design when applying pressure to an animal’s skin. The suit wraps the muscle groups focusing on controlling graduated compression, but also aiding in the reduction of muscle vibrations. This is very important when animals are travelling. Muscle’s work extremely hard during travelling, they vibrate & can overstretch. Muscle vibration can cause micro fibres to tear in the muscles, as a result membranes leak and the enzyme Creatine Kinase (CK) leaks into the blood in high concentrations causing cramping and ultimately travel sickness. Bart - our experienced trainer and superb horseman. With many equine achievements under his belt, including Polo, Show Jumping, Dressage, Harness Racing, Flat Racing, Barrel Racing and Polocrosse. He has an eye for detail and nothing gets carried out in the stables without his knowledge. 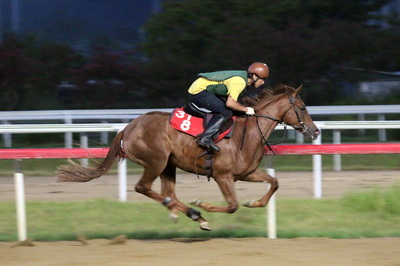 All track riders and jockeys, ride under his instruction and while he may not ride every horse himself, he oversees that all track work is carried out accordingly. 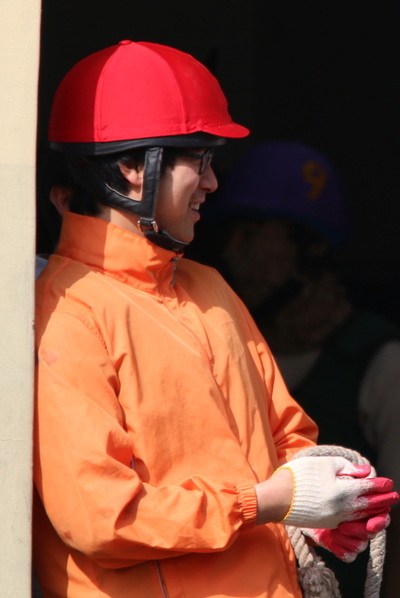 He is extremely hands on and puts the horses needs first. Pam - Pam is a competent track rider and assistant trainer to Bart, she carries out trainer instructions well is always available to monitor the staff. She very hands on with the horses and their needs, All the faradic stimulation is carried out by her and she features a lot with the turn out, general care and well being of the horses and has a brilliant understanding regards to minor injuries and the required attention to be given. Pam is also in charge of the team uniforms and designing. Pam was successful in competition, such as, show jumping and dressage and produced many competition horses for the buyers market. Kim Jun Tae - Jun, our foreman and track rider, Joon is a top class track rider and horseman and follows out instructions very well. 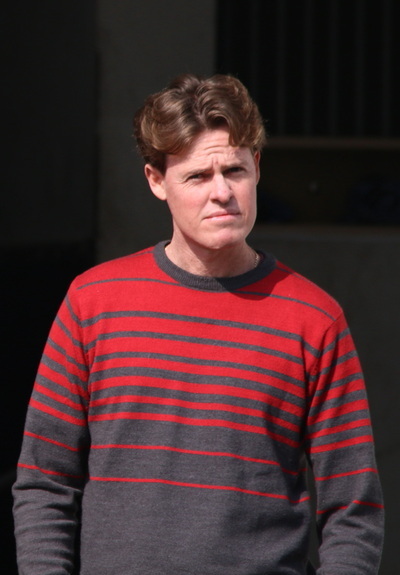 He is an asset to our stable and has learned our thorough routine of running and managing a professional racing yard. 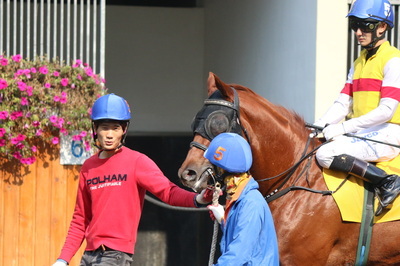 Hyeon Young Hak - Second in charge, Young has a very easy calming attitude towards the horses, he is very valuable on the ground and is an absolute pro in the starting gates. His lunging ability is essential and his feed back is important to us. Jason - our interpreter and administrator, Jason will be here to relay messages and help us communicate, he also handles all the necessary documentation in order for your horses to run, i.e. registrations and so forth. Joe - Joe completed his track riding course in the UK and puts his skill to work every morning during training, he is a very competent and confident rider who gives very valuable feed back, he has a genuine hunger for the game and knowledge regarding racing world wide. He is never too shy to ask questions. Donkey - Donkey is another member of our ground staff and carries out the important jobs to make each horses day comfortable and more relaxing, he takes care of all daily treatments and monitors each horse for any new small injuries which may have occurred during morning training. Hyuck - Hyuck too forms part of the immaculate working ground staff and also assists with clean out and general day to day operations around the yard, he is the newest member to our team and has fitted in very well.